Here's my take on Let's Scrap sketch 1-15-14. I did clean line, one page with the sketch. Photos were taken at Jones The Grocer. As you can see, it's our kids' favorite fruit salad featured in the layout. I had used mainly MME papers and saved the edges of the paper for the title work. I do love the busy papers indeed! 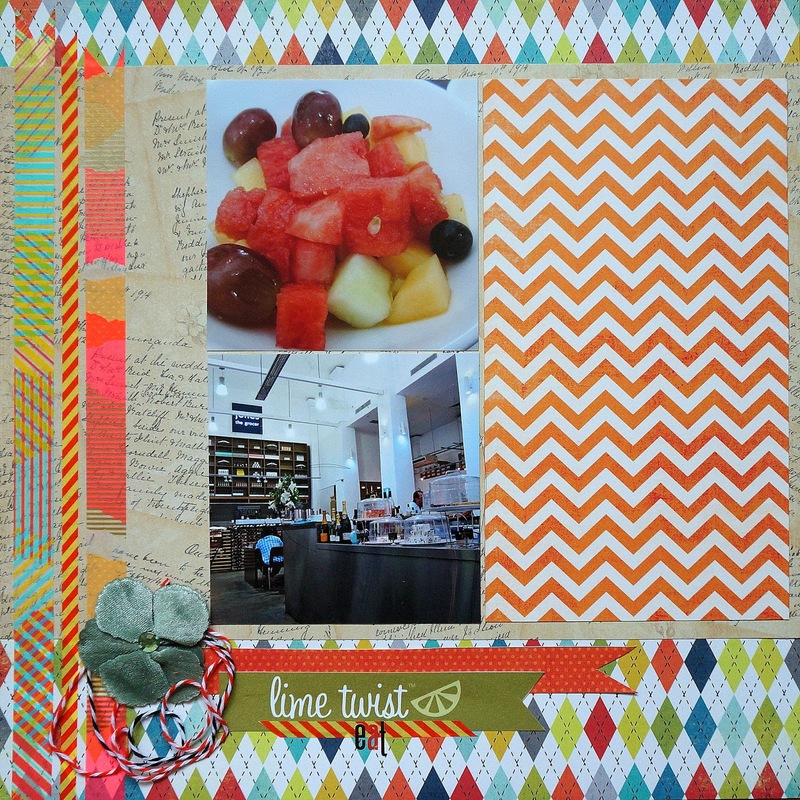 Do come and join us at Let's Scrap!